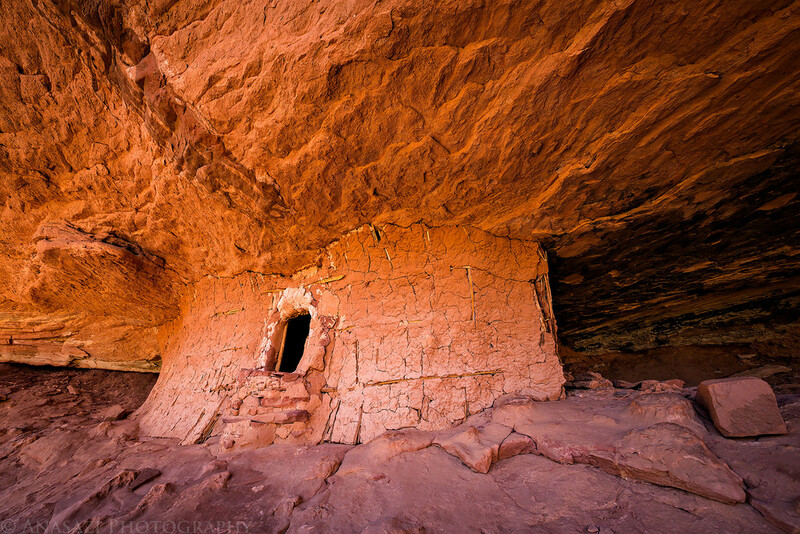 Long Front Ruin hidden in an alcove on Cedar Mesa within Bears Ears National Monument. Two ruins with intact roofs in a shallow alcove. The Bear’s Den. I came across a few signs of bear in this part of the canyon. A very small granary with an open door that is located next to a well-preserved kiva. Pretty fresh mountain lion tracks as I hiked through a narrow part of a canyon. A small granary nestled into the back of a large alcove. The doorway of another small granary. A few nice painted potsherds I found below some ruins I visited. There were a lot more in this area. A view from the front of these two-story ruins. A good look at the roof beams of The Complex Ruins. A look at the remaining roof of this two level structure. A closer look at the upper level doorway of The Complex Ruins. Faint pictographs including a pretty large sheep. The remains of a structure with a smoke-blackened ceiling above. An evening hike along the rim of a canyon. I’ve come across a lot of benchmarks and other USGS markers over the years, but I’ve never seen a State Road Right Of Way marker before. I finally took the time and hiked to the summit of Salvation Knoll right next to the highway. I’ve driven by this spot many times over the years and always said to myself that I should do this short hike sometime, and I finally did! A long front wall with a collapsed roof. A few large potsherds I found just like this on Cedar Mesa. Of course, I left them where they were. A recent rockfall that we passed on a short overnight backpacking trip. It was a pretty humbling sight and I certainly wouldn’t have wanted to have been below when it occurred. One of the few new petroglyph panels I visited on this trip. Not only is the front of this ruin pretty cool, but so is the texture and light on the ceiling of the alcove above it. The oldest benchmark we would come across during the trip from 1909. A small granary bathed in nice reflected light. The doorway into a square ruin on a ledge that we climbed up to. A big white pictograph above a few ruins on a ledge. Camping in a Cedar Mesa canyon on a short overnight backpacking trip. Warm evening light on the sandstone above our camp right before sunset. Jared hiking through a narrow part of the canyon. Bridges Evening Primrose on Cedar Mesa. A well-preserved kiva with the original ladder still there. A very rare sight and one of the highlights of our trip! A close-up shot of the original ladder in the kiva. Inside the kiva and the bottom of the original ladder. Your photos are beautiful. 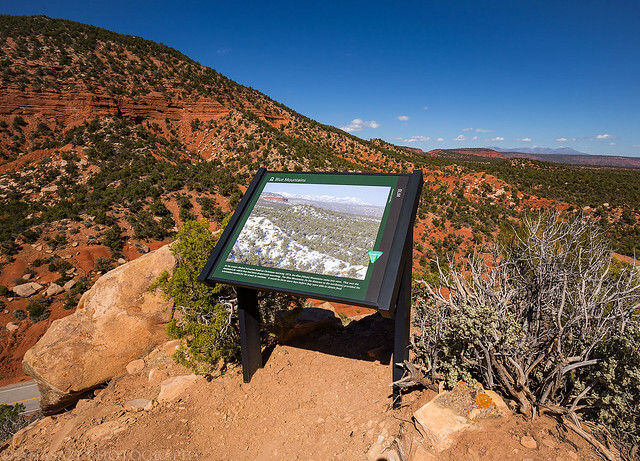 I have been to Cedar Mesa a few times in the last four years. It is a stunning historical area. Your hiking ability has allowed you to see such wonders of early man as well as ancient geology. I appreciate that you allow us to get glimpses of what you have experienced. Thanks so much. I loved receiving your latest photos and comments.